Touch Board — Making electronics accessible to novice as well as pro users. It is an Open Source microcontroller, with a lower barrier of entry to its Arduino originator. It can be used to create interactive DIY projects as well as be used as a prototyping tool by industry professionals. The design brief covered the physical design of the PCB to be easily integrated into projects as well as be easy to use, and extended to everything from retail friendly packaging, product videos, to online project tutorials, technical guides and inspirational resources geared to encourage early adopters as well as the ever widening audience to engage with the product and use it in their work. As the design lead on the team, I worked closely with the engineering team to create a user friendly and beautiful microcontroller, encouraging the technology to be accessible and exposed. 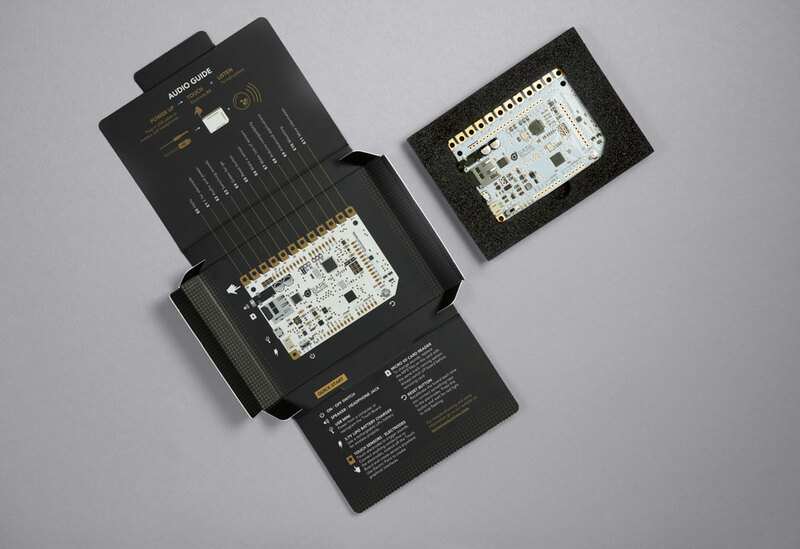 The packaging was designed continuing the same thread of 'exposure' as the board itself, a simple white box featuring the product nested in an antistatic foam tray. The Touch Board is primarily geared towards capacitive sensing and sound, hence we also outfitted it with an audio guide loaded right on the board, which allows the user to get started immediately.